NOW APPEARING @ Public Dances ! I offer a variety of services to each facet of our dancing community. to create the vision that you wish to portray to your audience. with one of my professional Music for Dancing® stereo sound systems. 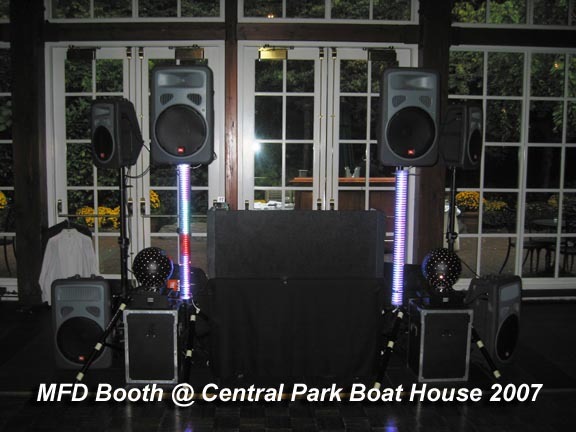 Sound Re Enforcement rentals for dance events and festivals. click your interest and find out about us. We offer a variety of different services to each facet of our community. Increase your image as "the place to be" by infusing excitement and fun into your school parties with our unique mix of Music For Dancing®. I am the only dance DJ to work for multiple major NYC independent studios. Increase your profits; Non-students will want to come to these dance events. Design a complete advertising campaign to "get the word out on the streets". We can use our HDD units to "tap-into" your current sound reinforcement equipment for a lower performance fee. Teach partner dances through our Left Feet Made Right division if needed. Offsite sound re-enforcement services available. Develop theme nights for your club including: lounge, Swing, Hustle/Disco, 80's, 90's, Top 40, Society Style or Latin mix. Develop team strategies to bring in more customers and keep them coming back. Increase bar sales by manipulating the flow of the play list to move the majority of dancers on and off the dance floor to the bar. our unique mix of Music For Dancing. Add a new dimension to your broadcasts; a dancer's view of music presented. Develop a Classic Rhythm & Blues following through our huge collection of music. 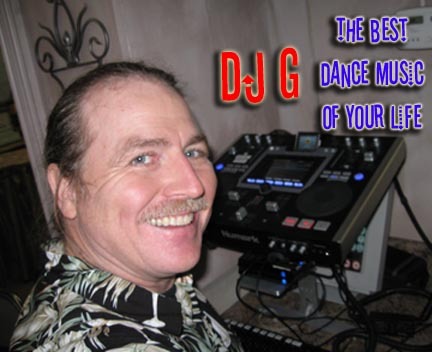 Increase your image as "the station that's on" by infusing excitement and fun into your broadcasts with our unique mix of Music For Dancing® and our wild and fun DJ announcing style.